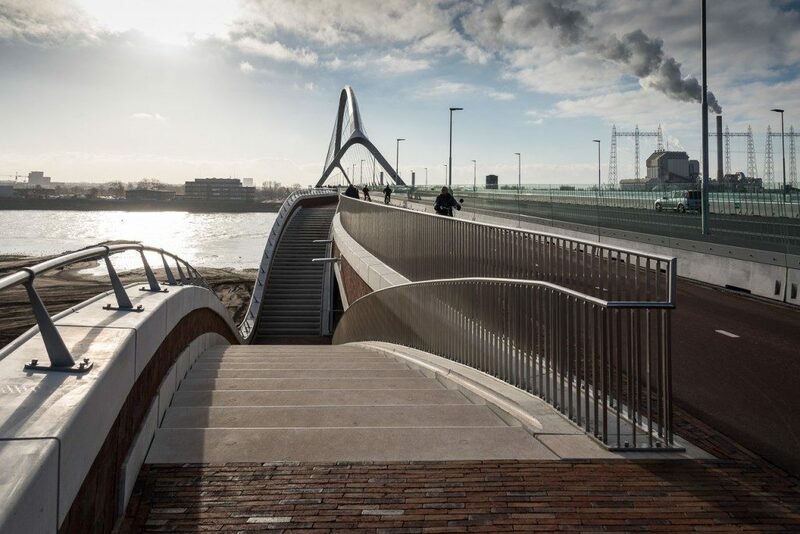 With the construction of the new city bridge “De Oversteek” in Nijmegen, a third fixed cross-river connection has been realized over the river Waal. This means that the traffic around the city needs to be better spread and the accessibility of the city increased. 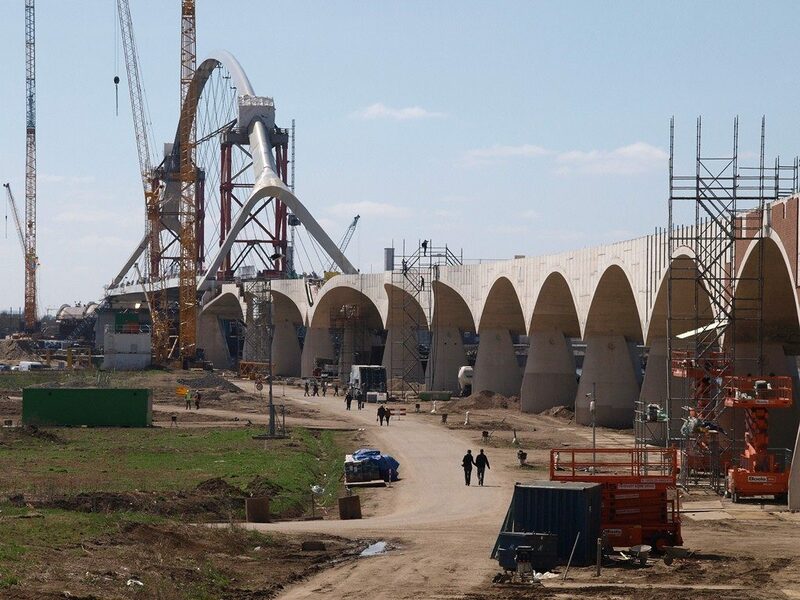 The 1.4-kilometer bridge has two faces: the main span consisting of an impressive steel arch construction and the bridges constructed from 21 concrete arches. 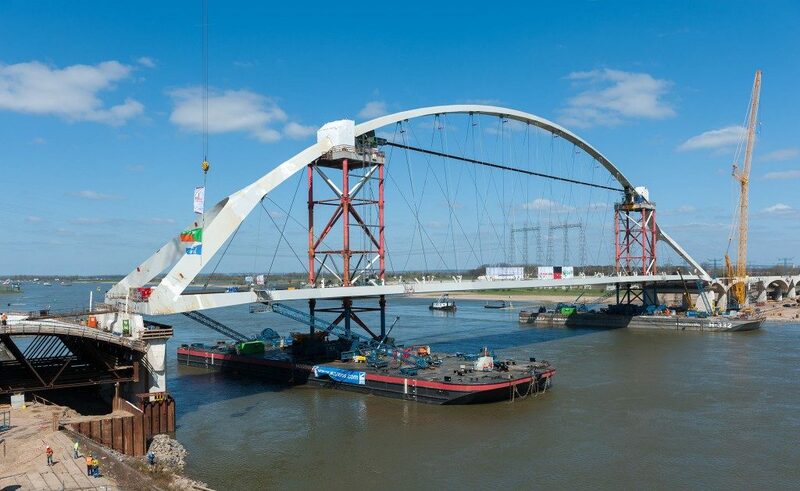 The project was executed by BAM Civiel and Max Bögl Nederland in accordance with a Design, Construct & Maintain contract form. ProNed has approximately 15,000 m2 of masonry, concrete and glass with protective systems (anti-graffiti coating, nanocoating and impregnation). 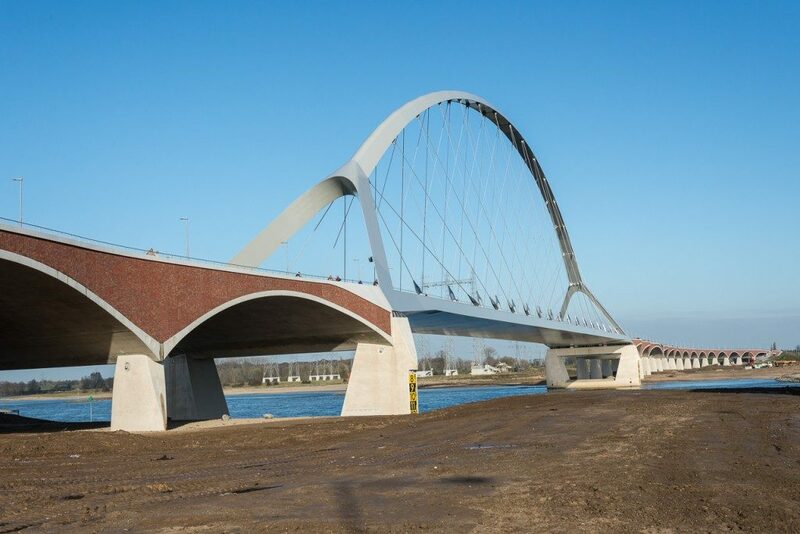 Until 2038, ProNed is responsible for the maintenance of the city bridge Nijmegen. All pollution like graffiti will be removed and where necessary the coatings will be repaired.